How Much Different Is Spanish Life? Before you begin working your way to foreign language fluency, it helps to understand the culture behind the language you’re learning. After all, language exists to help a group of people express their ideas and beliefs. Spain is an old country with a rich history and culture. As you begin your Spanish language program, gaining a strong grasp on this history, the values, and the etiquette will help you rapidly achieve success. 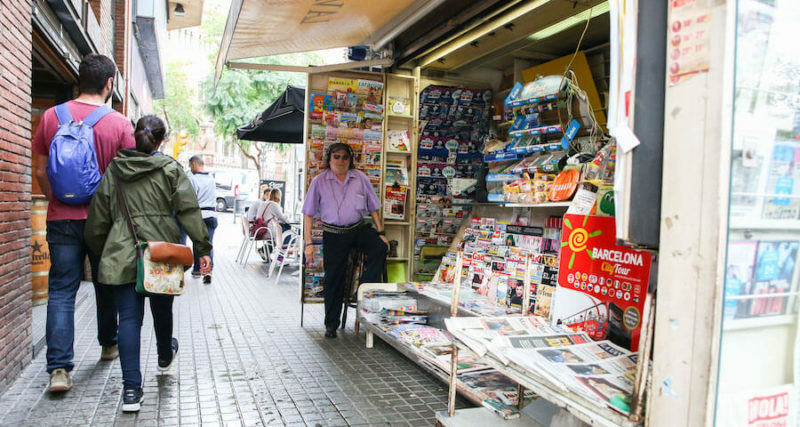 In particular, the daily life of those throughout Latin America and Spain shares some similarities with American life, but with a few unique differences. Latin Americans and Spaniards are always portrayed as having fun especially in telenovelas. However, life is not always full of fun. They have hectic schedules with family and work demanding their attention. Most of them travel through public transport, which takes time. They socialize in the evening hours and their days are fully packed. The middle class has grown significantly to cover between 35 and 40 percent of the population. However, 40 percent of the population still lives in poverty. The daily hassles mean that days can start very early and end incredibly late. The gap between the rich and the very poor has widened greatly, posing a problem to many communities. Latin Americans and Spaniards love food, although they often have to start from scratch. Wives will cook corn tortillas and coffee in the morning. Later in the day, they will prep and cook other meals. Spaniards love natural food and some of them will have small gardens in their yards. Those who commute can start their day as early as 5:00 a.m. and start working around 8:00 a.m. A tea break comes at around 10:30 a.m. or 11:00 a.m. In the countryside, the day starts late and ends early. In cities, the businesses close by 7:00 p.m. unlike in the rural areas where businesses start closing at 5:00 p.m. To some, weekends are full of fun. The nights end late with “taqueria” serving “antojitos.” To others, the weekends are time to work and they are never free to party. Alcoholic beverages are served around the clock in Spanish cantinas, taverns, and bars. These have been traditional drinking locations throughout Spanish and Latin American history. In the past, these saloon-style establishments only opened their cowboy style doors to men, but today all people are welcome. Bars and pubs attract wider varieties of crowds and are busiest after the sun goes down. “Pulquerías,” popular among the Bohemian era in Latin America still exist today. These establishments offer an opportunity to step back in time and experience a pre-Hispanic Spanish beverage. Pulque’s popularity has resurged among young trendy crowds in recent years. Dancing is a popular pastime among both Latin Americans and Spaniards. Live musicians and DJs perform across bars and clubs in cities and towns. Locals dance the night away to a range of genres including salsa, Spanish music, cumbia, salsa, rock, and pop. During spring break, tourists flock to these areas to get a taste of local nightlife. Music and drinks bring citizens and tourists together at night. Patrons spill into the streets while smells and sounds fill the warm evening air. In Latin America and Spain, food and drinks are enjoyed into the early morning hours. With countless pubs, bars, taverns, and cantinas, patrons never run short of options. Best of all, patrons can find the perfect place to suits their taste. There is just one small factor to be aware of, avoid bars with neon lights that are off the beaten path because these places may actually be brothels. Spaniards and Latin Americans enjoy free time. They like socializing during this time – they will invite friends and family members to their home, have drinks and food, play music, and have fun in a fiesta. Spaniards work hard all day with long hours of work and commuting, but they also play hard. During weekends, they will meet in parks to play sports, laugh off their problems, drink beer, or just enjoy the coolness of the park. They have a schedule of folk activities and public holidays held at different times of the year. The country has lots of beaches, which are almost always full. Those who are adventurous and have time can visit picturesque towns and archaeological sites. Enjoying leisure also involves traveling around the country enjoying local specialties and sharing time with loved ones. There are lots of museums and cultural institutions where you can spend your weekend alone or with others. For an expat, these institutions teach you more on the culture of Spaniards and Latin Americans. Food is a crucial part of the leisure time for Spaniards and Latin Americans. Nowadays, there are lots of US fast food restaurants. However, the Latin Americans and Spaniards love natural food and even when they eat out, they order Spanish flavors with classic recipes. They pride in their food and music and their traditions have been recognized by institutions such as UNESCO. Their goal is to preserve their unique culture for the generation to come. In urban centers, leisure is spent in diverse ways thanks to the high number of recreational facilities.